We all have bad days. Those are the days we got out of the wrong side of the bed, when our alarms didn’t go off, when we had to rush out of the door with bad hair, and when we haven’t eaten whatsoever, making the day ten times harder than it needs to be. You didn’t even manage to fit your coffee in, nevermind the glass of water you’re meant to drink when you first wake up. So you’re having a bad day, and you know it’s just going to get worse. You know by the end of the day you’re going to be absolutely exhausted, and you’re barely going to be able to get any of your responsibilities down when you get home again. And that just makes you feel worse. Before you have another bad day again, it might be that now is the time for you to work on this. There’s a lot of ways you can make yourself feel better when it comes to a very bad day in a string of bad days. And whilst there’s a lot of traditional medicine out there for you to use to your advantage when it comes to treating any pain you’re in, there’s also a lot of little ways you can promote good health in your day to day life. Let’s check out a few of them. So it might be the last thing you have the energy to do when you’ve still got the entire house to clean when you get home, as well as those emails to still complete, but it’s going to be the most useful thing for you right now. When you talk to someone, you share your pain out, which makes it a lot easier to deal with. And that’s something we all should be doing more of. So call your best friend, phone your parents, go round to someone’s house just for a coffee. As long as you’re with someone, even if you’re meant to be doing something else, and you feel happier whilst you’re there, you’re doing better. Because you can’t be doing your best when you’re not feeling your best; it’s physically impossible to do some good work when you can’t focus your mind entirely on the job at hand. If you have a pet, it’s time to snuggle up with them on the sofa, even if they’re not usually allowed on there. 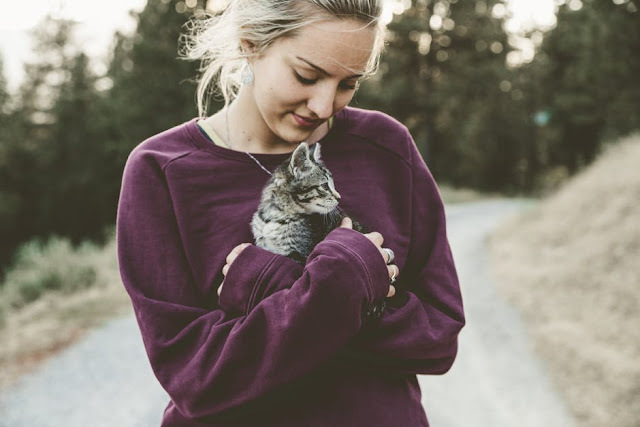 Allowances can be made when you’re in such a bad mood, and pets can always shed a little more light on how you’re feeling. Even get a cover for your sofa if you’re worried about the shed hair clean up; no one wants to have to pick all the fur off of the furniture when they’re in a bad mood. So sit down with your animal and get to petting them. It can be extremely therapeutic, and even just taking five minutes away from the task that’s making you feel so bad is going to make you feel more hopeful for getting back to it. Breaks are something humans need after all, and the more productive breaks you have, the more refreshed your mindset will be. On the more heavyweight side of things, if you’re on some regular medication and you’re starting to feel the effects of it either worsen or not do anything at all, it’s time to make a change. There’s no point taking something that doesn’t help you when you absolutely need it, and going on for a long period of time without sorting this out because of distractions is just going to make you worse. If anything you’ve taken up to now hasn’t done much for you in the way of soothing symptoms and banishing pain, it’s time to get a little more personal with the therapy you need to make sure you can get through the day just like anyone else. So be sure to pay a visit to a compounding pharmacist, and ask your doctor about the medications you can obtain via this route. Feeling best on your worst days is a habit we all should try to get into, but if you take the time now to calm yourself down and focus on your health, you’re on your way already. We all have a different kind of bad day, so work on yours.